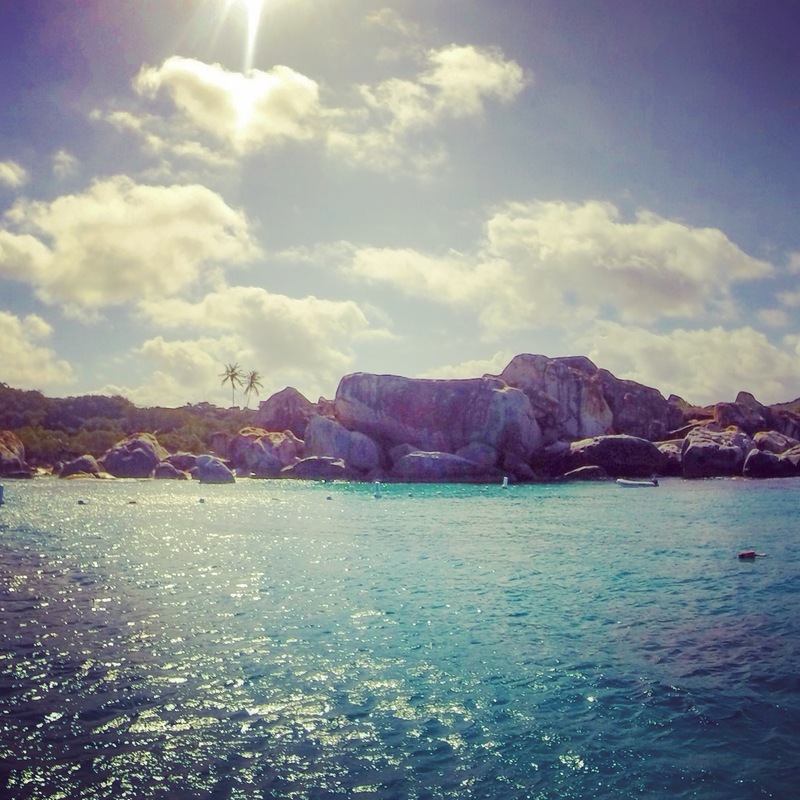 March is a beautiful month in the islands, and our friends and family know it! 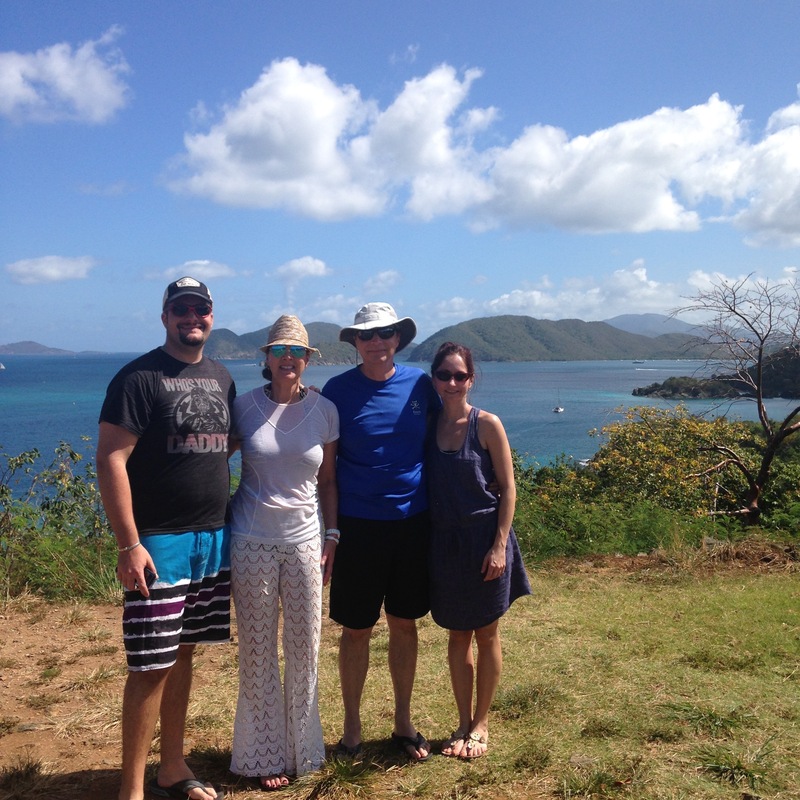 We have a lot of people coming to visit us this month, and our first visitors were Dan’s dad, stepmom and sister. 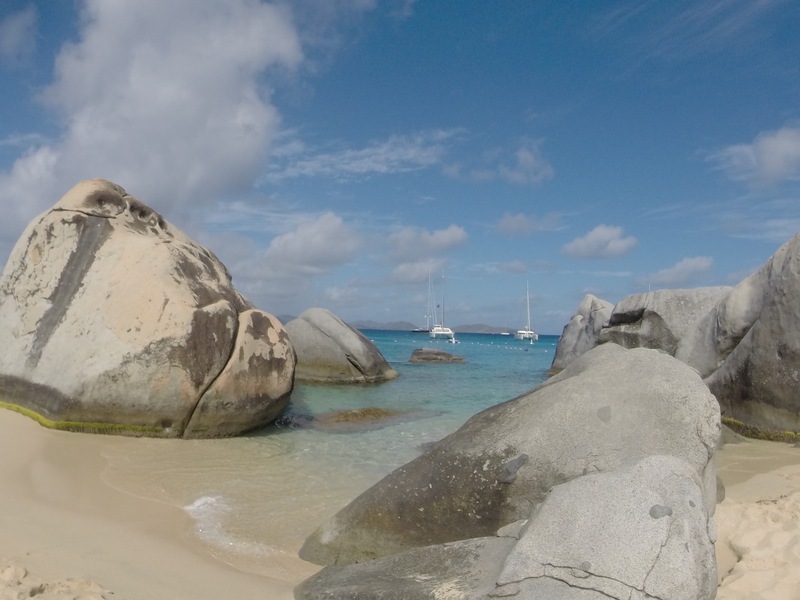 Right out of the gate, we had fun day on Bad Kitty enjoying the BVI. 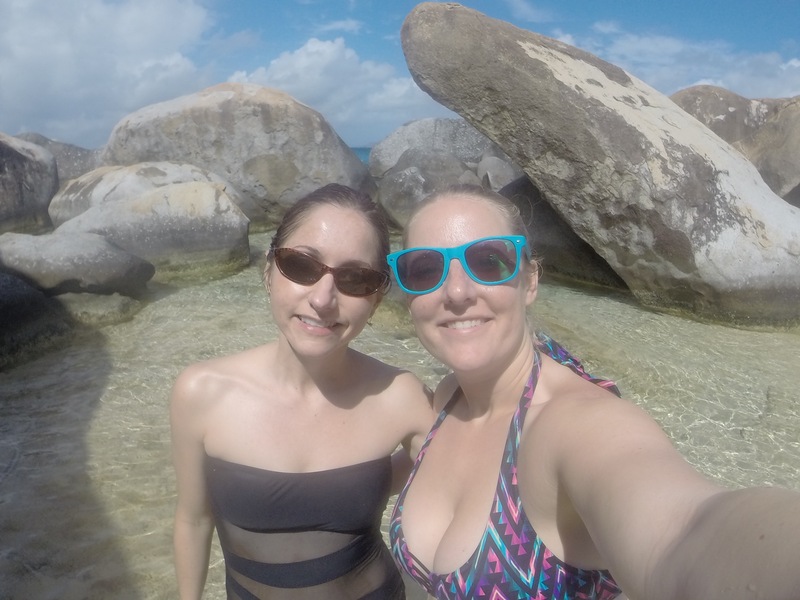 We saw The Baths on Virgin Gorda, got to have a delicious lunch at Cooper Island Beach Club, snorkeled with turtles at Norman Island and no BVI boat day is complete without a trip to Jost Van Dyke for a Painkiller at the Soggy Dollar Bar! 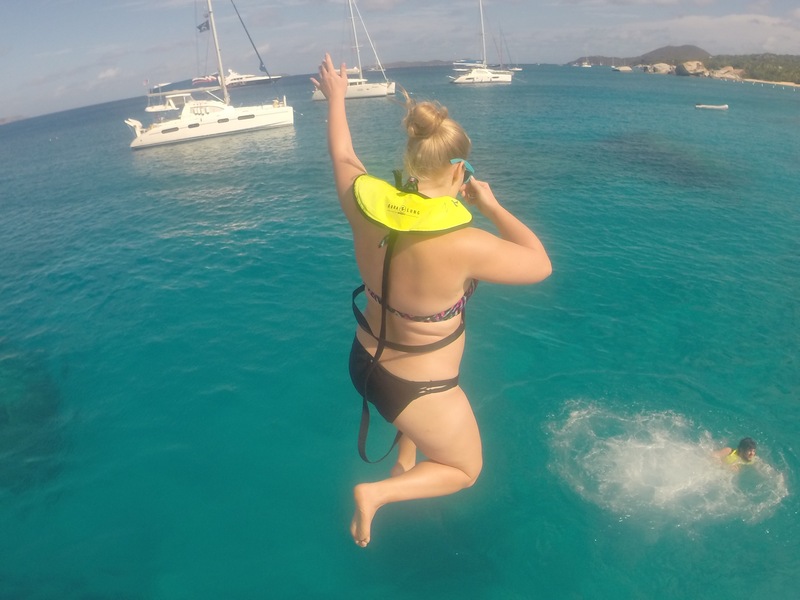 Anytime you get the opportunity to jump off the top of the boat into the Caribbean, you should go for it! 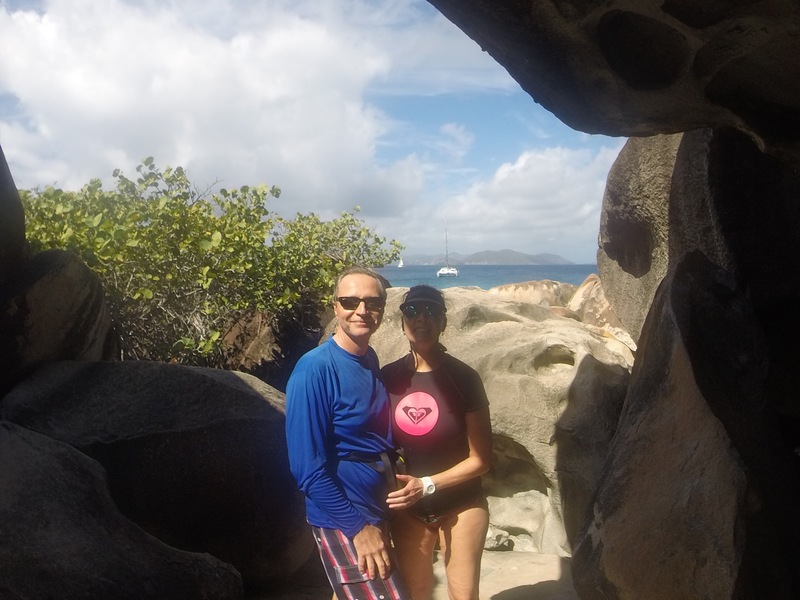 Ray and Susan enjoying a hike through The Baths! The family in the cathedral room. 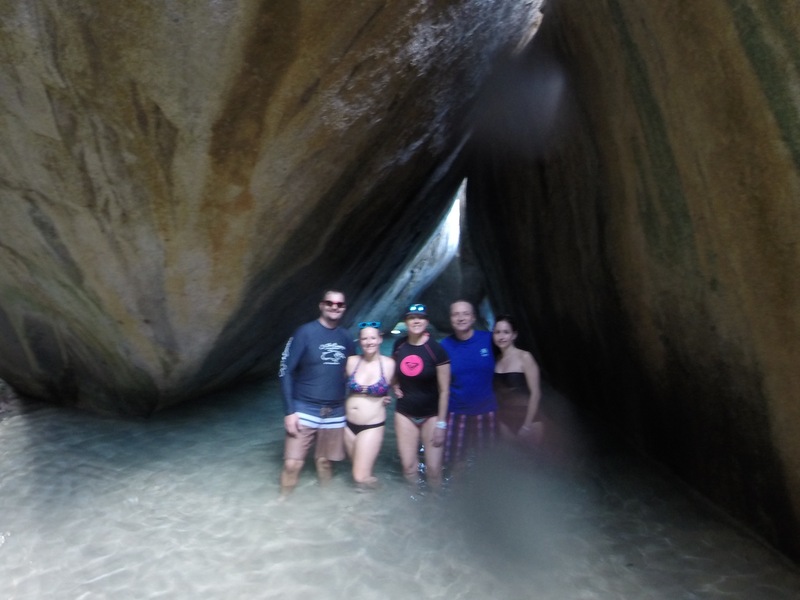 Pictures never seem to come out clear when you’re rushed in here! 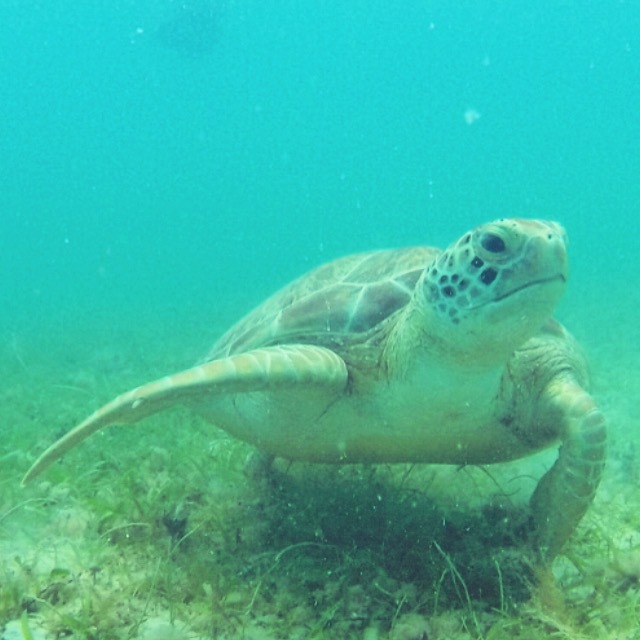 Diver Dan gets lots of interesting wildlife pics when he’s 20 feet underwater. 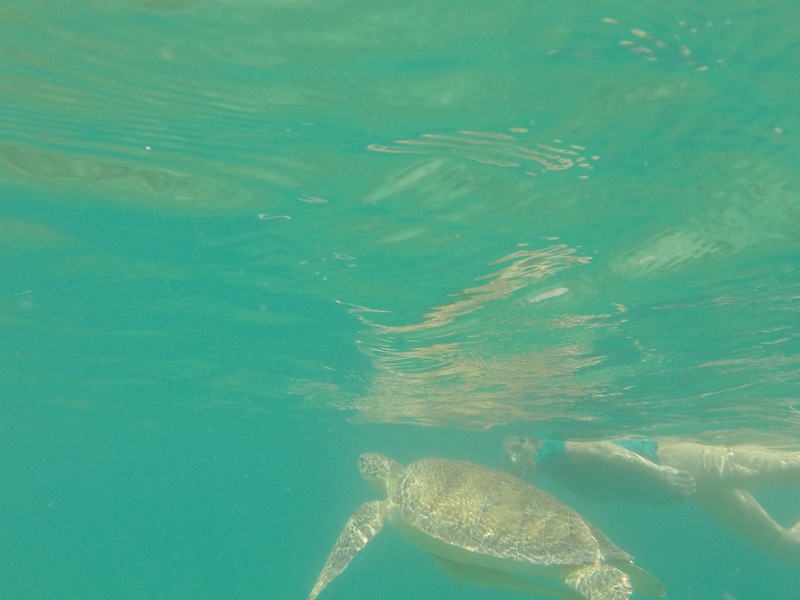 Snorkeling near Norman Island, BVI produced the first turtle sighting of the trip! 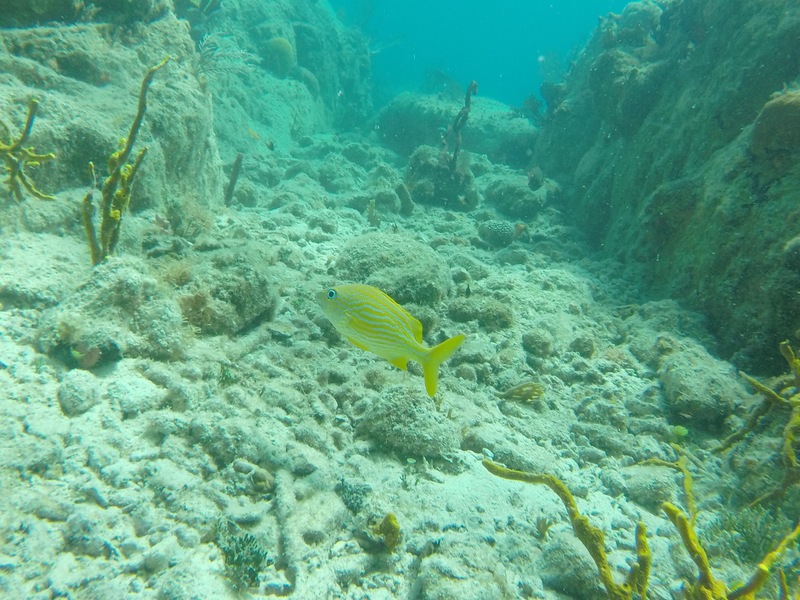 Also, notice the GIANT barracuda lurking in the background. 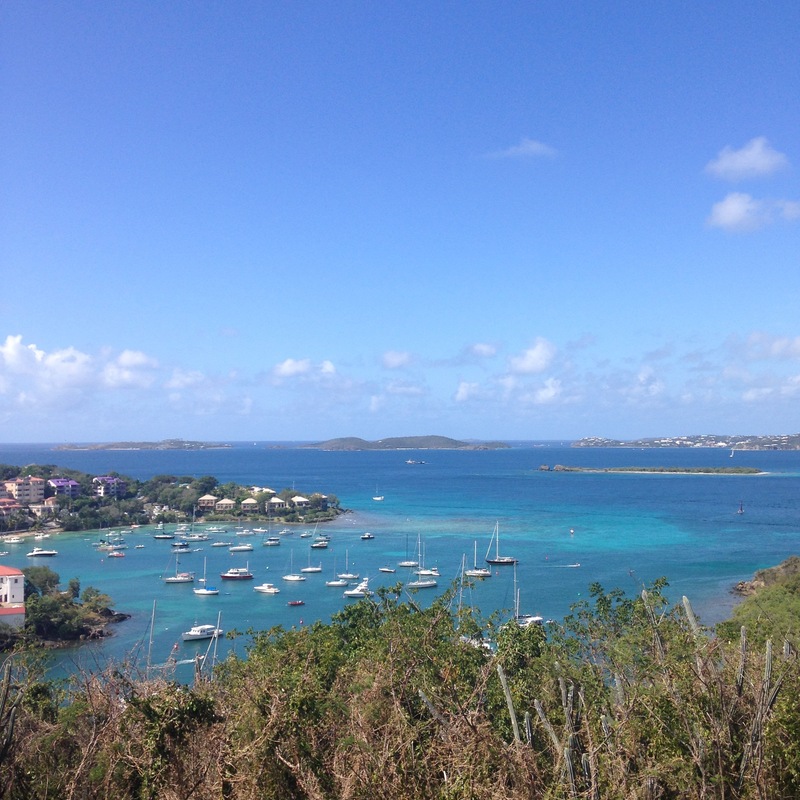 On the second day of their trip, we loaded ourselves onto the car barge for St. John. 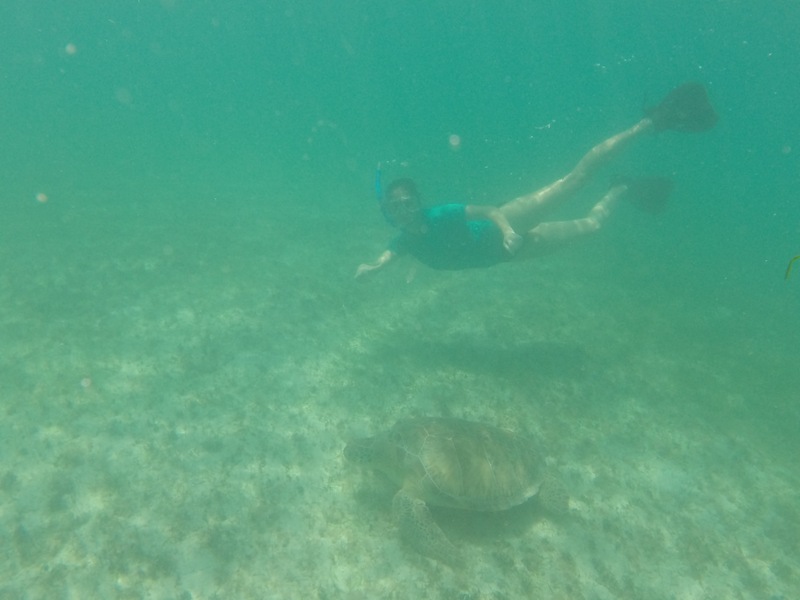 After a quick walk to Peace Hill, we went snorkeling and saw some huge sea turtles at Maho Bay. 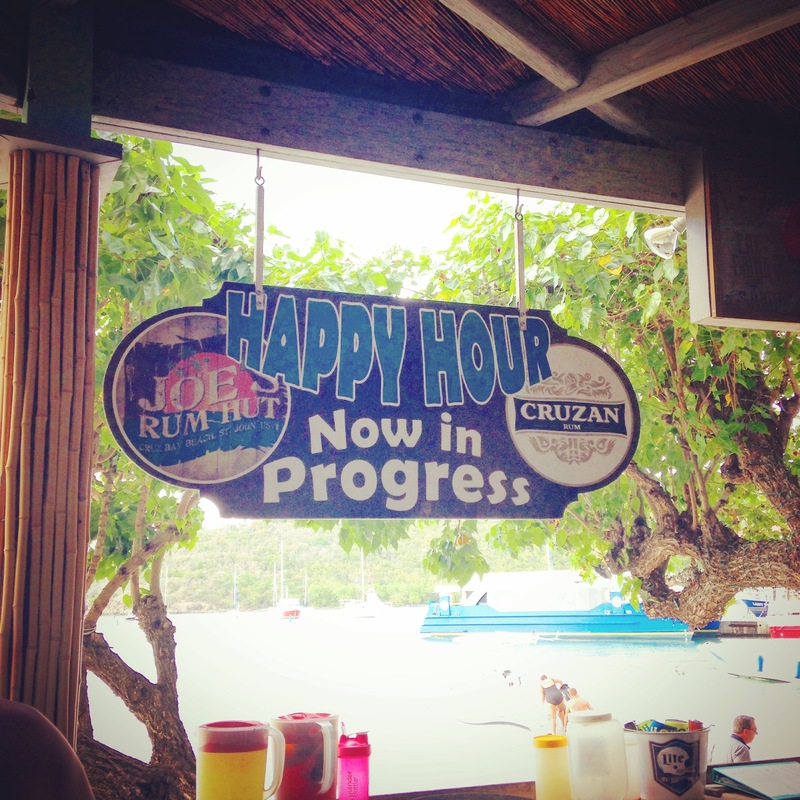 No trip to STJ is complete without happy hour at Joe’s Rum Hut! 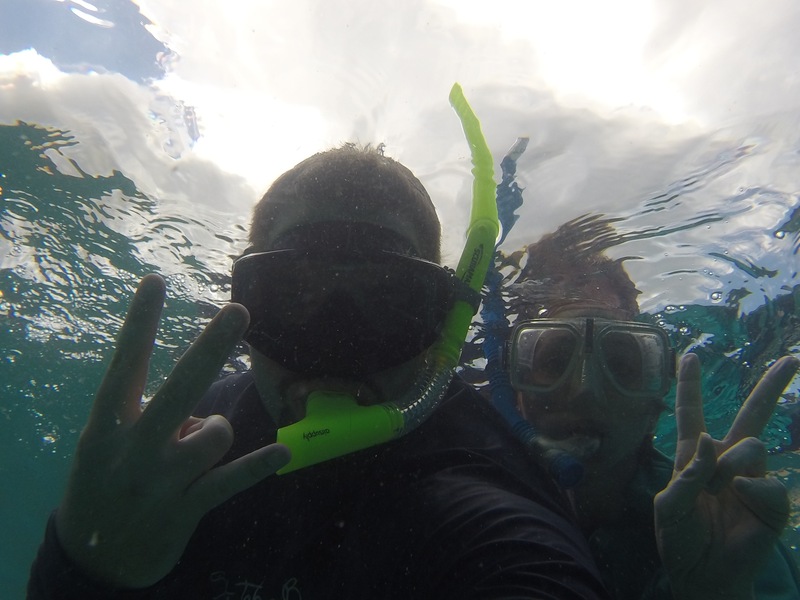 We got to stay the weekend with the family at the Marriott Frenchman’s reef. On Sunday morning, Dan and his dad went golfing and the ladies got to relax at the pool. 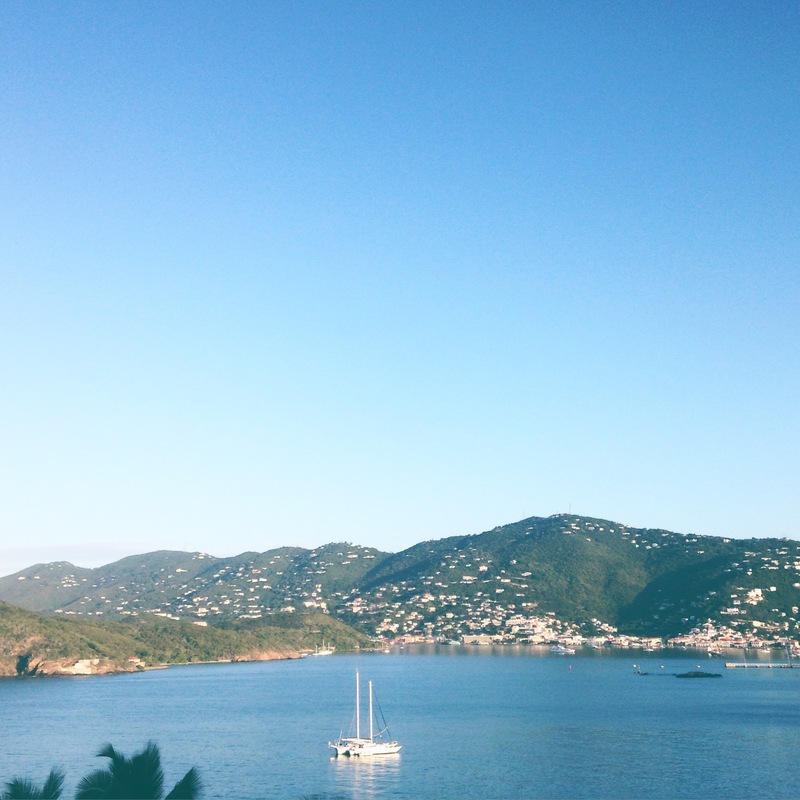 Charlotte Amalie mornings are beautiful. 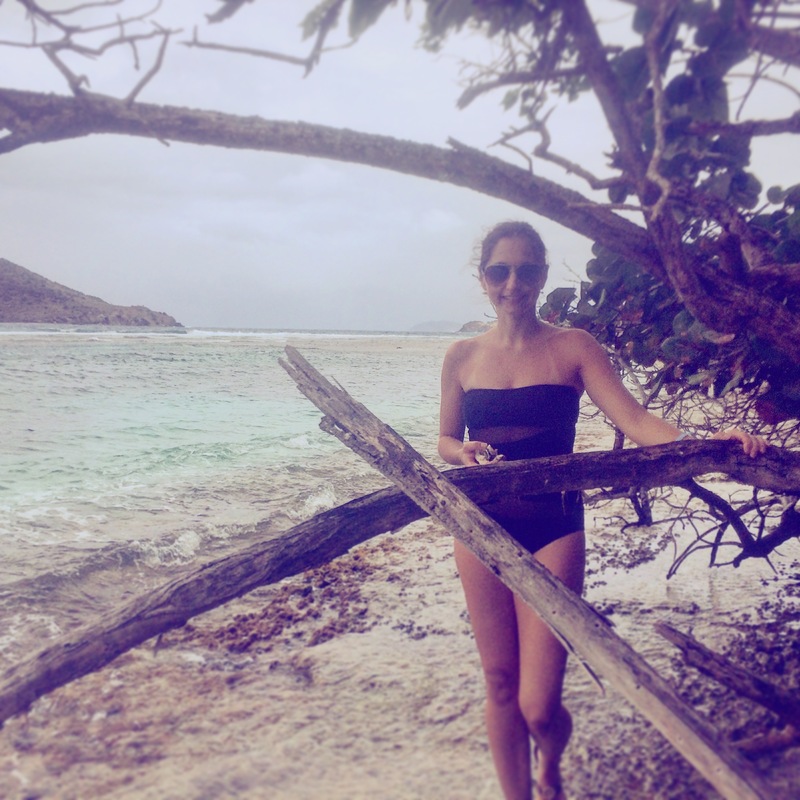 Erin and I explored Lindquist Beach on a windy day. 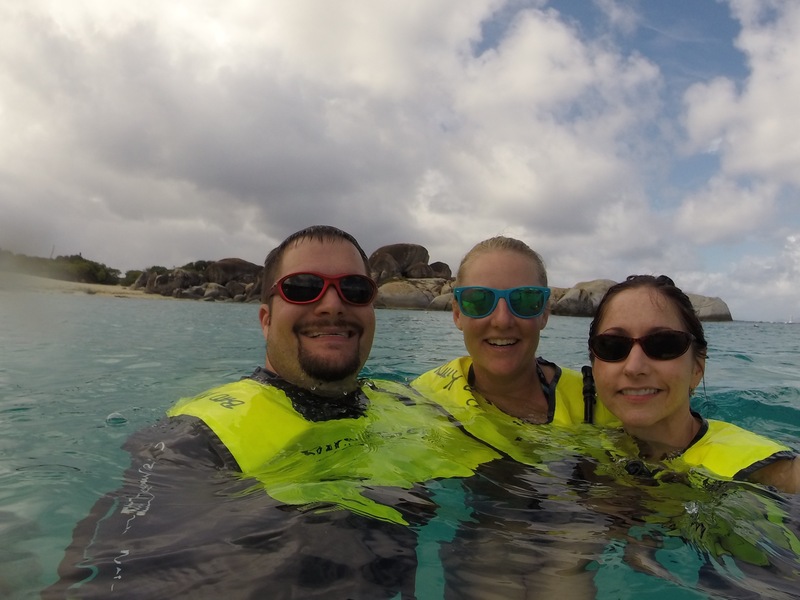 The rest of our trip was spent relaxing at the resort or on the beach! 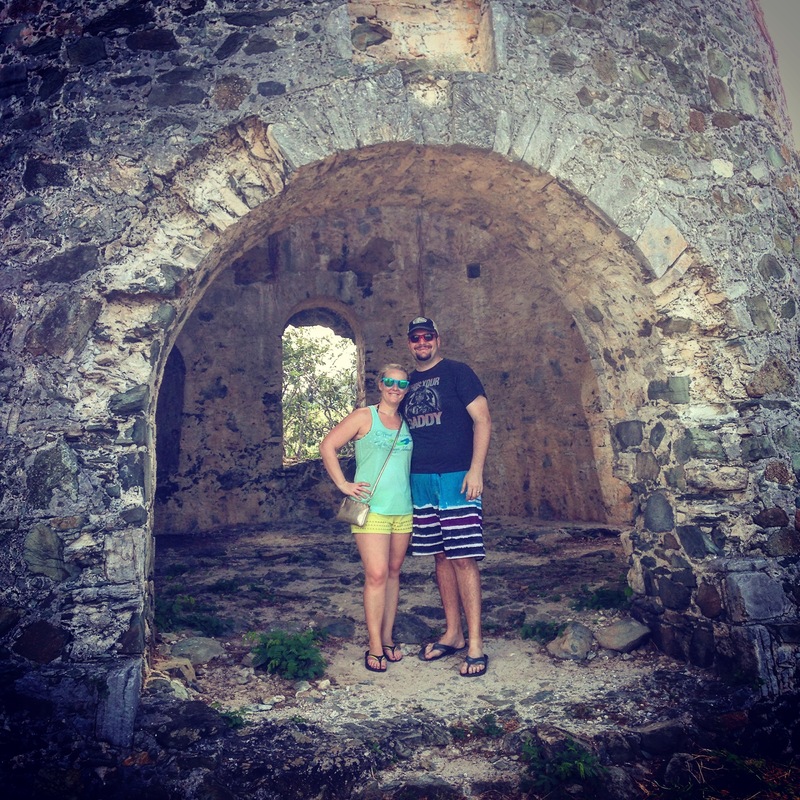 It seemed like a really fast trip, but we had tons of fun showing the family some new places and enjoying some favorites! 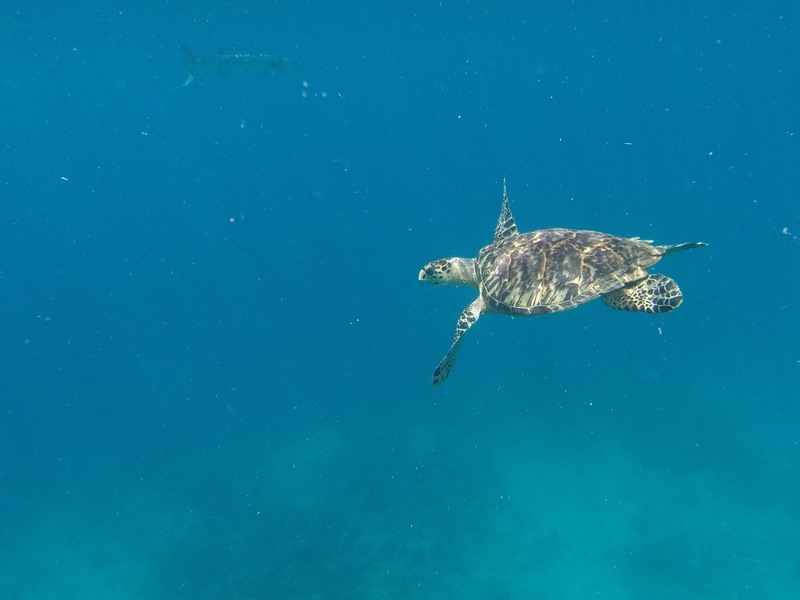 This entry was posted in Uncategorized and tagged Bad Kitty, British Virgin Islands, BVI, caribbean, island hopping, island life, Jost Van Dyke, Norman Island, Peace Hill, sea turtles, snorkel, Soggy Dollar Bar, St. John, The Baths, Virgin Gorda. Bookmark the permalink.